Telstar offers an affordable retrofit for finishing. 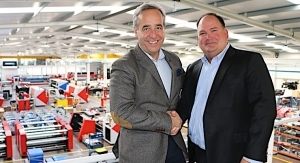 CEI has partnered with Domino for the BossJet hybrid press. 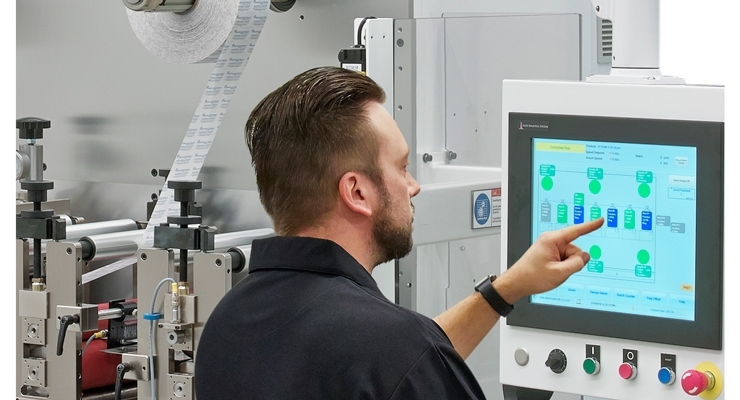 The decision to invest in a standalone digital label press is more than an investment in a machine – it’s actually an investment in two machines. 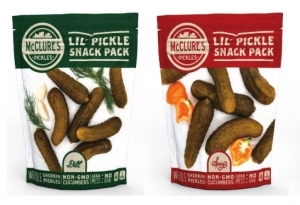 Cliché aside, digital presses are “all the rage” right now, and for good reason, as they meet brand owner needs for cost-effective short run labels with variable data. 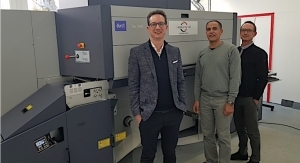 But if your digital press investment is not a “hybrid” unit – a machine that incorporates inline flexo printing as well as finishing processes such as diecutting and various forms of embellishment – you’re going to need dedicated finishing equipment. Parallel to the proliferation of digital presses is an increase in the number of finishing equipment options converters can choose from. As with press purchases, machinery choices vary in size, speed, capabilities and price. While it can be said that the presses themselves get a lot of the attention, the machinery chosen to finish the job must not be overlooked. 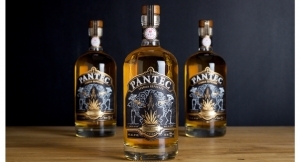 “The finishing process is critical to complete the cycle of production for a sellable label. 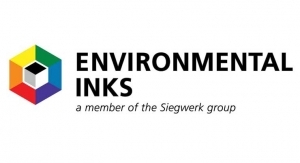 If not done correctly to spec, the resources expended during the printing process can be totally lost,” comments Jason Schmitt, Eastern regional sales manager for Rotocontrol. 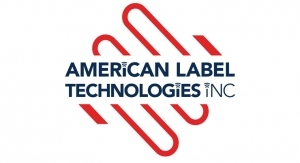 Todd Kotila, director of business development for CEI, says that when it comes to finishing – what he calls the “inescapable last step” of the workflow – the real question is not how the labels were printed, but how much more do the labels require than slitting and rewinding to prepare them for shipment. “If they require nothing, you’re at the threshold of shipping billable goods,” he says. 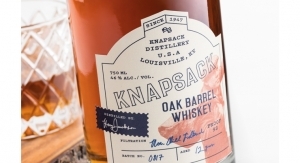 “But if the labels require any embellishments – from the simplest lamination or diecut to higher-end processes like hot foiling to embossing – then how you finish them becomes critical. 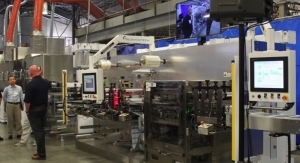 In speaking with digital finishing equipment OEMs, the term “modular” emerges as a key requirement of their label converting customers. 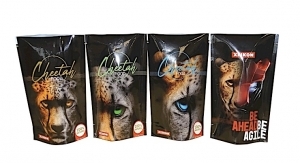 CEI’s Kotila also sees a move toward more embellishment, and emphasizes how other industry trends play into the digital printing and finishing sweet spots. 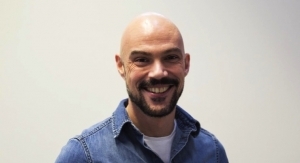 “Adding varnish or a simple lamination no longer cuts it in this business environment. 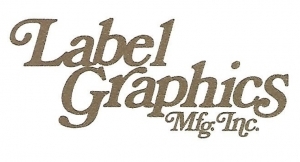 With our digital finishers, a label manufacturer enjoys the flexibility to compete at an entirely different level. 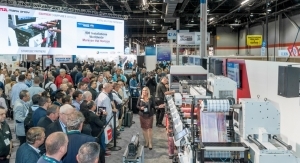 The market pressure is toward shorter runs, more frequent copy changes, quicker turnaround, personalization, reduced waste – all strengths of digital printing and finishing,” he says. 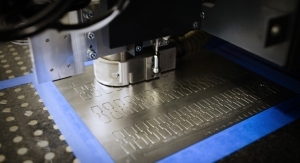 Laser diecutting is a process that’s trending upward in the digital finishing space. 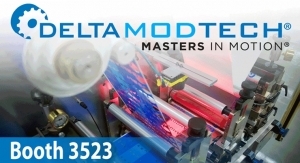 Delta ModTech is one equipment manufacturer that is noticing continued interest and growth in laser finishing. “Some of our customers are just getting into laser cutting while others have several laser systems installed and are adding more. 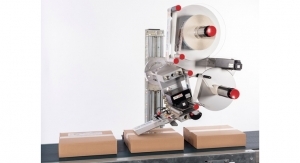 Integration of on-the-fly cut changes with the use of a bar code reader is becoming popular since it allows for short and long runs, eliminating changeover. With these integrated laser systems, seamless printing and finishing can be achieved. This allows for a complete digital solution,” says Grenwis. 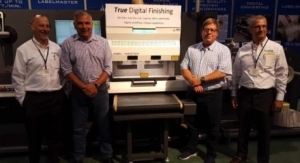 Much like the digital presses they complement, digital finishing equipment OEMs are continuously innovating and announcing new products with enhanced speeds and capabilities. 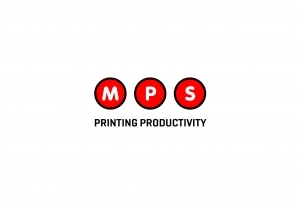 In the past, digital printing and finishing tended to be set up and operated as two separate processes. However, in recent years there has been a move toward in-line finishing. Converters today can choose inline, near-line or off-line finishing, depending on what best suits their needs. What follows are descriptions of some the latest digital finishing technologies available to label converters, as well as supplier information. ABG’s Fast Track Die Cutting unit is touted as one of the world’s fastest semi-rotary diecutting systems, capable of running at 150 m/m, over a wide range of repeats, and can work inline with the world’s fastest digital print engines. 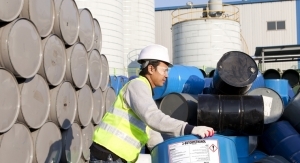 Gap sensing and knife setting units saves time on setup and changeovers. 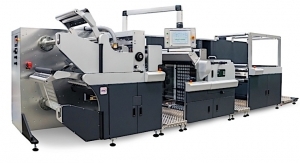 AB Graphic also offers the Big Foot, a 50-ton capacity hot foil and embossing module. According to Bell, Big Foot features multiple foil feeding across and along the web to create new effects and finishes that will give printers a competitive advantage. New from ABG is a high-speed flatbed screen printing module that adds value with relief varnishes or vibrant screen inks. 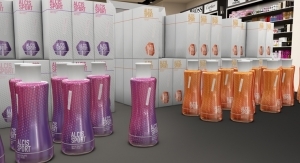 A crossover module has also been developed to create multi-layered, novelty or promotional labels, digitally. A lamination in register module enables a pre-printed web to be laminated to the main web in perfect register. Finally, a rail mounting system allows a flexible configuration that meets individual needs. 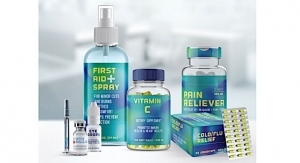 The Sigma Series High-Speed Precision Semi-Rotary Digital Label Finishing System from AzTech Converting is a full-featured modular system designed specifically to meet and exceed the need for high yield, fast turnaround production for today’s digital label printing market. 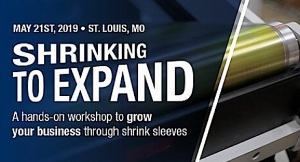 Sigma Series features include semi-rotary and full rotary operation, a rotary sheeting station for sheeted products, quick-change servo-controlled flexographic printing/coating stations, cold foil stamping, dual-side lamination and modular design for future expansion. 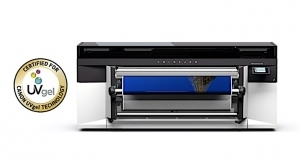 “With the ability to make fast changeovers, hold extremely tight registration and operate at speeds up to 175 fpm, the Sigma Series will prove to be an invaluable tool to support your company’s future digital print growth,” Derek Bradshaw says. 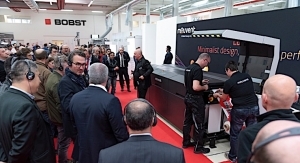 CEI offers a wide range of slitter-rewinders, diecutters, custom-made equipment, digital Boss finishers and its flagship digital hybrid press – the BossJet. According to Kotila, “There’s a saying around the CEI office: ‘Simon [owner and CEO, Simon Gross] likes things that go fast.’ In the last few years, however, we’ve experienced a significant paradigm shift with the creation of the BossJet – a true digital hybrid press. 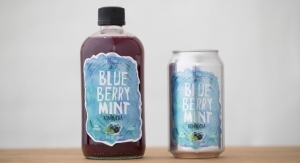 By partnering with digital inkjet press manufacturer Domino, CEI has combined flexo press features and converting embellishments with digital printing quality and flexibility. 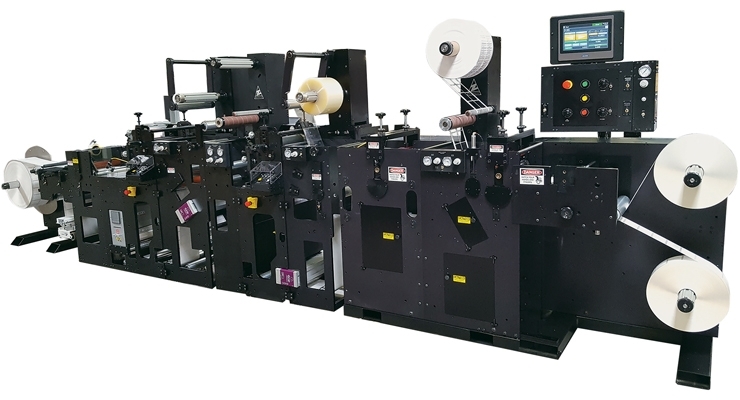 We’ve delivered more N610i-integrated hybrid presses than any other company out there, and we’ve already booked sales that will take us almost to the end of 2019. Digital hybrid presses are the future right now,” Kotila says. CEI is a small, privately-owned family company that is growing quickly. “We’re investing heavily, not just in innovations but also in people and processes in order to shore up our internal controls. CEI’s goal is to be ridiculously responsive and deliver the best quality service and machinery in the industry,” says CEO Simon Gross. 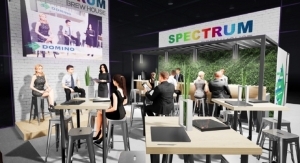 The Spectrum Finishing System is Delta ModTech’s digital finishing line. It is an entirely modular system based off Delta’s successful Crusader Converter platform. A basic 13" wide Spectrum finisher comes standard with Delta’s intuitive HMI control screen. It is capable of both high-speed semi-rotary and full rotary diecutting, flood coat/flexo deck with UV dryer, lamination module, slitting module, and servo controlled unwinds and rewinds. 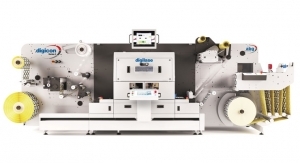 Grafotronic’s signature machine is the fully modular DCL2 digital converting line. 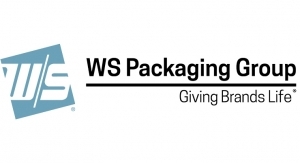 We offer every finishing option required for the label and packaging markets, including hot stamping, screen printing, auto slitting and more. Options can be part of the initial purchase or added at any point in the future with only a single day of interruption in production, says Bacon, adding, “We call this our ‘Future Safe’ design. Key features include a fully-integrated buffer for continuous production with semi-automatic turret, semi-rotary diecutting speeds up to 90 m/m, competitive pricing and short delivery time. Another key feature of the DCL2 is Automation 4.0 software that allows Grafotronic to monitor the system remotely in order to anticipate service intervention requirements before they occur. “Automation 4.0 also integrates setup features into most prepress and label or job tracking software. The DCL2 provides a stable platform to integrate inline and hybrid solutions with our digital printing partners,” Bacon says. 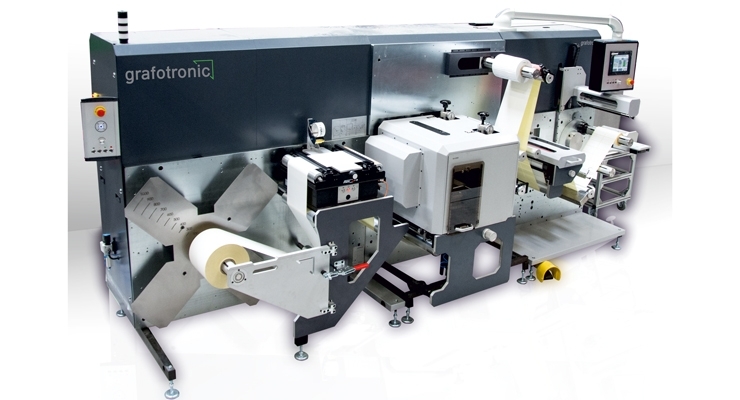 Grafotronic offers digital converting equipment from entry level to mid-level to its fully modular signature machines. “We use the same components for each price level so the quality of the equipment and the product being finished are not jeopardized,” Bacon says. “We offer slitter/rewinder and inspection machines at a reasonable price, with many of our new technologies designed into each system. 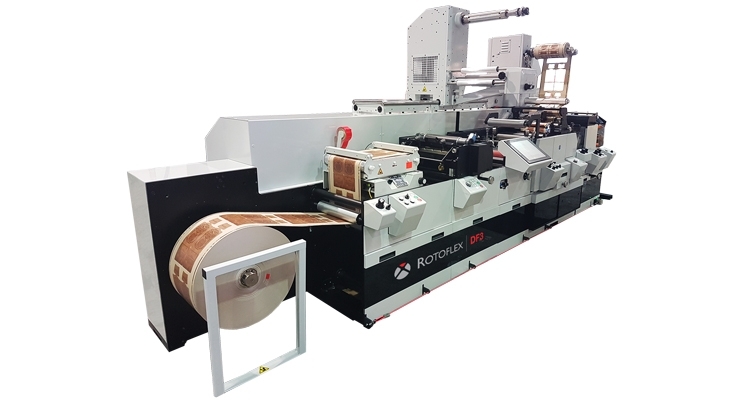 “The rotary converting lines we sell are for efficient production of everything from blank labels to advanced industrial converting, including laminating of different materials, multiple diecutting stations and more. 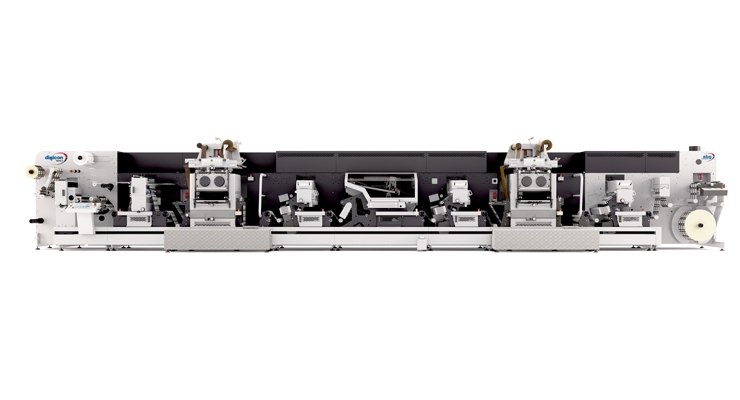 These converting lines are also fully modular and designed for high-speed production. 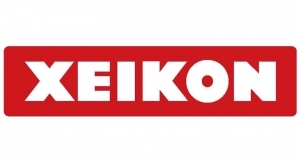 As the North American distributor for Italian finishing equipment manufacturer SEI Laser, Matik markets the SEI Laser Labelmaster digital finishing machine. 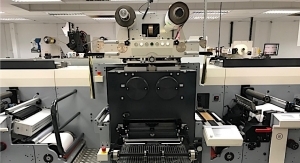 Labelmaster delivers on-the-fly cutting of a variety of printed jobs – including through-cutting, kiss-cutting, perforating, micro-perforating and single-pass engraving. 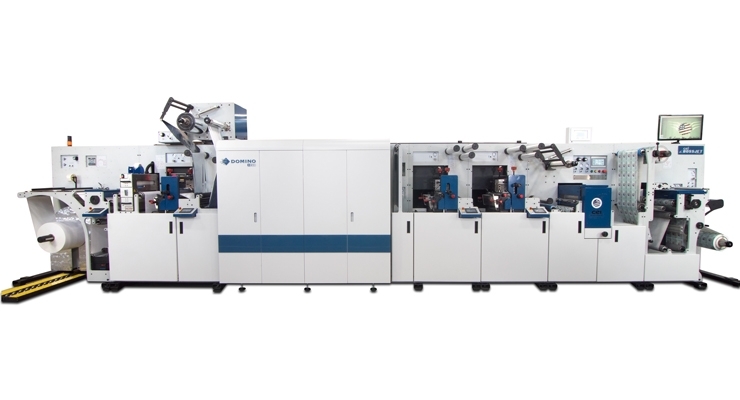 The SEI Laser Labelmaster is a completely modular machine with many finishing options, such as semi-rotary flexo varnish (spot or flood), semi-rotary hot foil stamping, lamination, slitting, cut-to-part, semi-turret rewinding and a servo sheeter. Laser options of 150w, 300w or 500w are available in single, double or quad laser configurations with speeds up to 330 fpm. 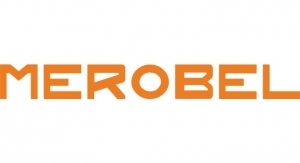 “We call laser finishing true digital finishing,” says Leibin. “The traditional systems are not. True digital finishing lets label printers proceed from a PDF file to ready-to-ship, finished and counted rolls. SEI Laser eliminates steps such as creating separate die files and reducing die delivery and die station setups, which can take more time than the actual physical production of the labels. 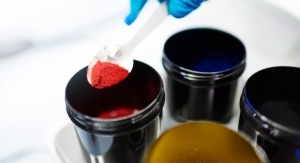 Changes in jobs, production quantities and material parameters can be communicated during prepress using SEI Laser’s software, which can be integrated into most workflow systems. Thus, finishing can be completed automatically using a true digital workflow. 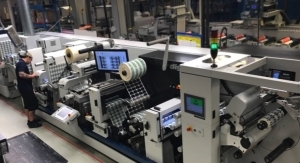 SEI Laser’s semi-automatic turret on the Labelmaster also enables production of exact quantities of labels on each roll. 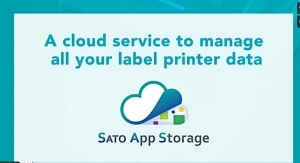 “By using the SEI Laser Labelmaster, a label printer can offer brand owners the ‘wow’ factor; better and cleaner cuts that are consistent from the first to the millionth label, even on curves,” Leibin says. The digital finishing solution from Prati is the Digifast One. 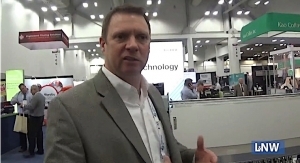 According to Frank Hasselberg of Prati USA, efficiency, accuracy and versatility are the main elements converters are all looking for in competitive finishing solutions. 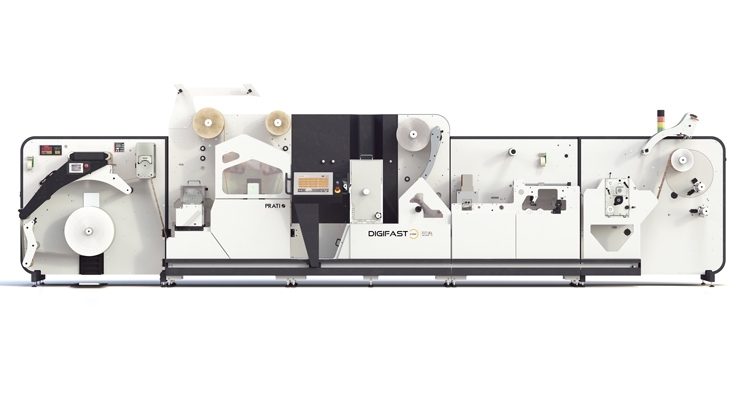 Hasselberg touts the Digifast One as being the most efficient digital finisher in the label market today, with production speeds of up to 300 fpm in semi rotary mode, and 500 fpm in full rotary mode. “Digifast One also features easy setup, a short web path and minimal setup waste and setup time. 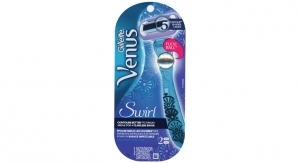 It is ergonomically designed and comes with a wide variety of options. Prati has been manufacturing finishing, converting, slitting and rewinding, and inspection equipment for over 40 years. 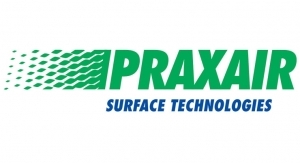 Based in Italy, Prati used to work with an agent in North America, but in September 2018 the company launched Prati USA to start its own sales and service organization focusing on the US and Canadian markets. 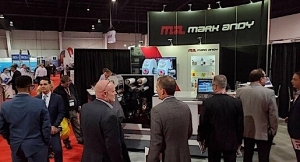 Rotocontrol America offers the DT Digital Transport/ Finishing Production Platform in addition to a more customized version: the Rotocontrol Custom Finishing Line (RCF). 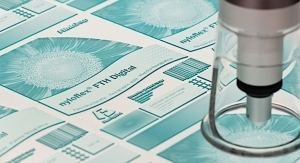 The RCF is a solution for a label company interested in a hybrid digital press, inline finishing and digital transport, booklet label production and more. Module advantages the company offers include the ability to run semi rotary or full rotary diecutting in the same module. 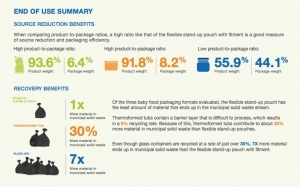 This reduces overall system length and cost structure. Rotocontrol also offers a simple turret that can be integrated at the final production stage, allowing for easy processing/handling of ganged production runs and multiple jobs produced on one roll – a factor not uncommon in the world of digital. 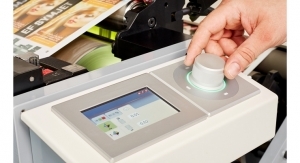 Rotoflex recently launched the Rotoflex DF3, a configurable offline digital finishing and converting machine. Servo-driven from unwind to rewind with print and diecut units in between, the DF3 system delivers efficient operation and a full spectrum of offline decoration and finishing in the fast-growing digital and hybrid world. 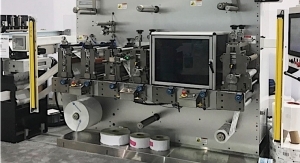 “The DF3 is ideal for a business that currently operates roll-to-roll digital label presses and is ready to optimize finishing processes,” explains Kevin Gourlay, senior VP for Rotoflex. The DF3 delivers capabilities of both full and semi-rotary diecutting, which accommodates a wide range of repeat sizes and existing investments in tooling. 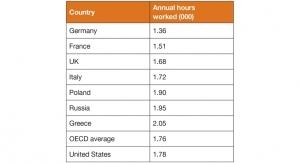 Die changeovers are also achieved in 30 seconds or less. In contrast to other devices in this space, Dhugga says the DF3 was built with speed in mind, converting and finishing at speeds up to 1,000 fpm. 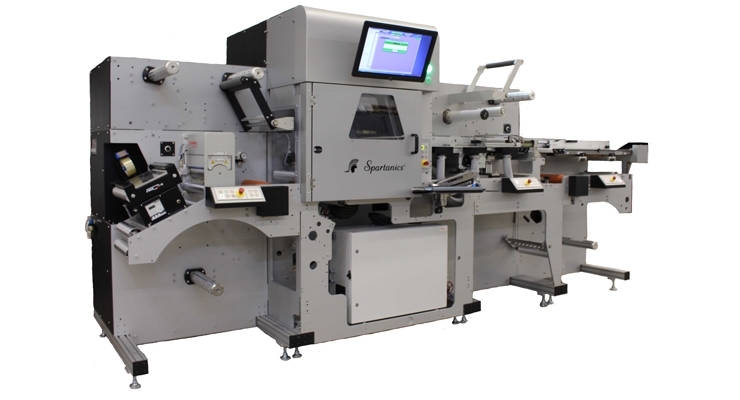 Spartanics offers the CS-2000 Laser Modular Converting Machine, which can be configured to a customer’s exact needs. 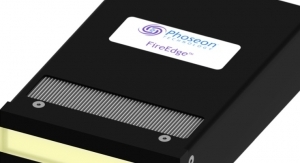 The company also offers its Laser-Lite Converting System, which runs a full 13.5" web width but occupies a small 6 x 6 foot floor space and is cost effective. The CS-2000 is the most popular with larger customers because it offers the greatest flexibility. The Laser Lite is new to the market and gaining traction because of its lower investment cost and small footprint. Telstar is a supplier that specializes in retrofit technology solutions. According to president Tom Kirtz, Telstar responded to several customers coming to the company expressing a concern over the cost of going digital. Telstar then set about to develop an affordable retrofit option. 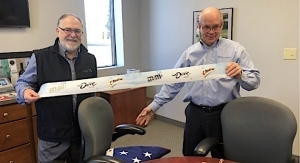 Kirtz says, “The cost of the digital printer plus another several hundred thousand dollars for finishing equipment makes for an extreme financial challenge – especially when there are no guaranteed digital printing purchase orders in hand. 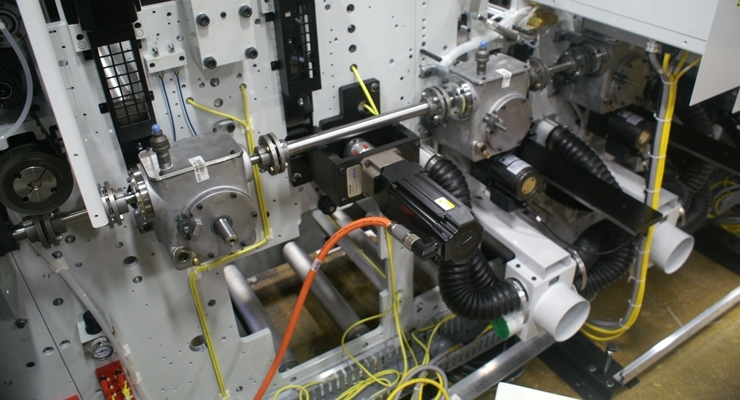 Adding Telstar’s Servo Conversion System to the print or die station of a mechanically driven press provides re-register capability to the converted station. This allows for pre-printed webs to be decorated, diecut or sheeted on a “veteran” press.